6 Self-catering cottages in Historic Fort. Excellent place for Families and groups. 6 warm and comfortable cottages: some can be inter-linked. 4 cottages have spacious lounges with open fires. 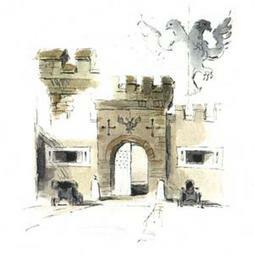 The Fort is family run and welcomes children and pets. 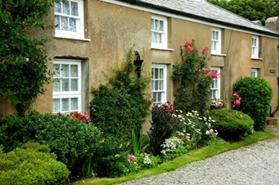 Short out of season breaks available from £159 per cottage. Historical Fort Belan may be visited by arrangement with Christopher (See the contact us page). Fort Belan's unique music room is licensed for weddings and civil ceremonies for up to 120 guests. Concerts as well as talks and Lectures may take place here and it may also be used for conferencing. 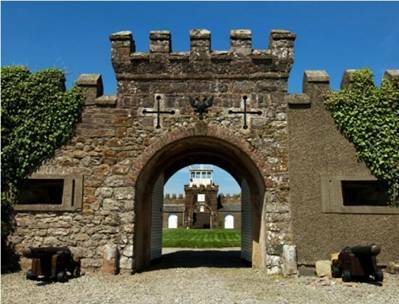 To book Fort Belan for your wedding please contact us.